A Debian Slug doing the same job has crashed enough times to be a problem but runs almost anything on the external USB drive. So how to add a web server with cgi scripting to the download from John Arthur? Unfortunately that runs a version of Openwrt for which the ipkg applications are no longer supported. 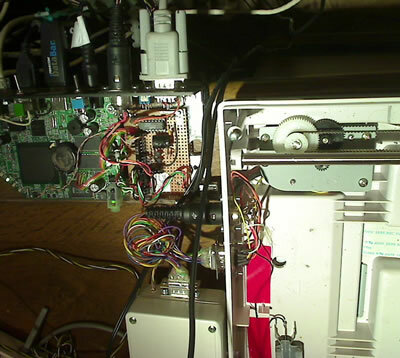 This page records my efforts to update the firmware and add features. 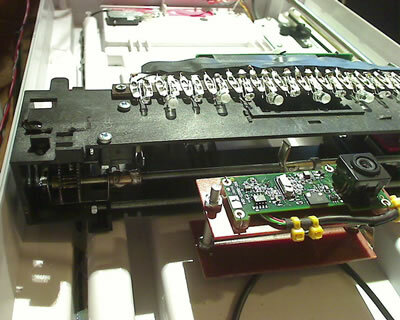 All firmware is running on the internal flash memory - but an external USB flash mounts automatically and can be used for data. I decided to move from Blassic basic to Python - "python-mini" is installed (only 1MByte) and is working well. 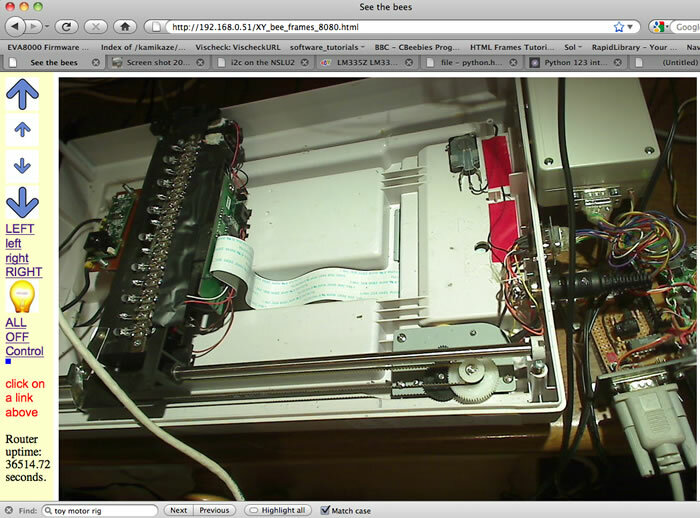 I have an old document scanner that has the original stepping motor plus a motor and gearbox from a toy car. 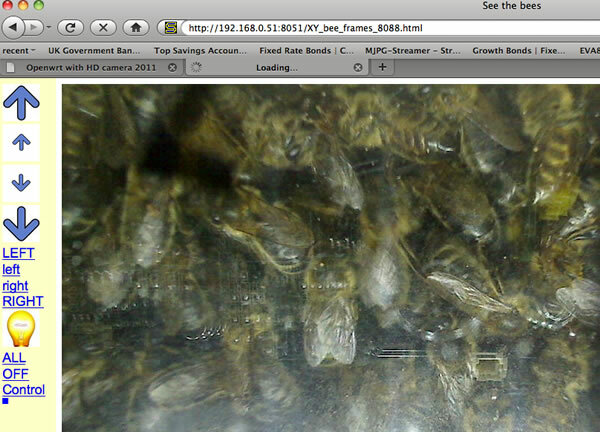 This scans a Logitech Quickcam Pro HD USB webcam across the surface of a glass walled beehive. The image holds a website that lets me click on images to scan the camera across the hive face.